Perfect for on the go, this nifty reusable coffee cup is in a league of its own when it comes to portability. 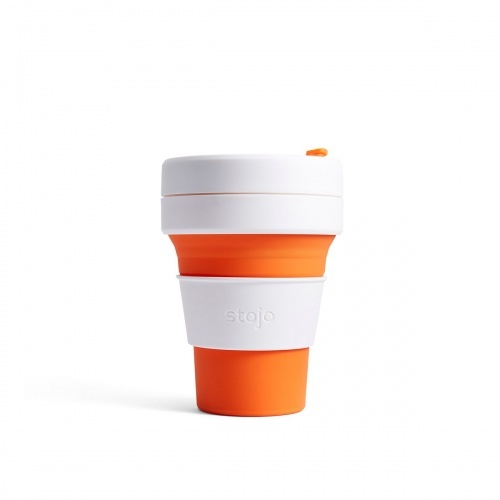 Stojo have created a travel mug that is super compact, leak-proof and simple to use - and limits the wastage from disposable coffee cups. Once you have finished your drink, you can simply collapse the cup and store it in your purse, pocket, backpack or briefcase. Sip, stow and go. Made of recycled materials, BPA free and contains no phthalates or glues. The design is uniquely innovative as the body is made of durable mouldable food grade silicone and can be collapsed down to a two-inch disc. Take Stojo to the office, airport, gym, cafe, or park. Perfect for hiking, skiing, snowboarding and camping too! To fill, simply unfold the silicone body from the rigid lid and fill with your preferred hot drink. 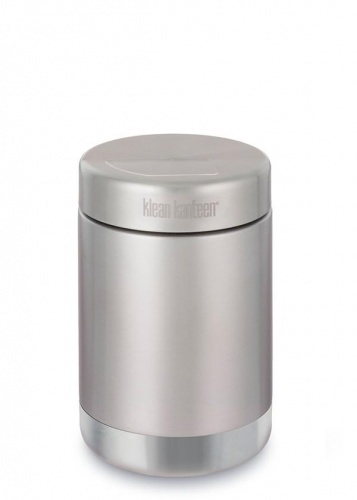 It features a solid thermal heat sleeve that slots neatly into the lid when not in use. The lid has a swivel plug to fit snugly over the drinking hole to prevent leaks. It is also dishwasher and microwave safe and the parts are easy to clean. Saves you money as most cafes offer BYO cup discounts. Or fill your Stojo with homebrew and save even more! - Made from food grade, recyclable materials. Stojo is BPA free and microwave safe. The original pocket cup stands at 5 inches and collapses into a 1.75 inch tall disk, making it perfect to slip in a coat or bag pocket and go. My Stojo collapsable cup fits neatly in my handbag. I've used it for take-out coffee: it''s easy to expand for use & coffee tastes good. You can drink with or without the lid on. The silicone seal folds in out of the way while you're drinking. The cup is light, comfy to hold & easy to wash.